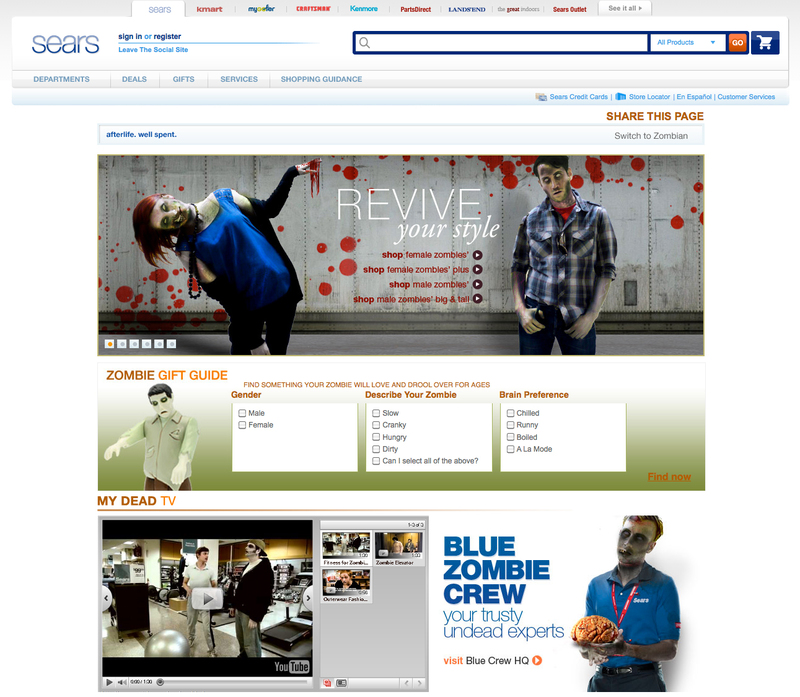 Sears gets into the Halloween spirit by remaking its digital storefront in a Zombie theme. Clothes, accessories and even fitness equipment get take on an undead theme, and shoppers can get recommendations on gifts for their walking dead friends. The site also features an Undead twitter feed hosted by @zombieshopper, a zombie friend maker and web videos starring ghoulish patrons.